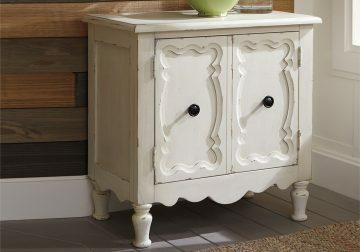 Accent Cabinet. 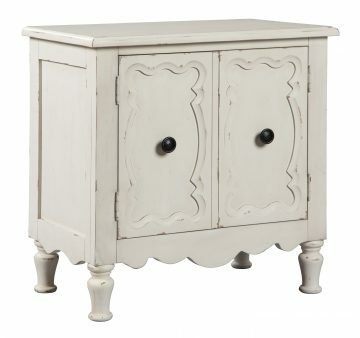 Constructed of Solid and Engineered Woods in White Finish. Gold Finished Metal Door Pulls and Feet. 2 Doors and 1 Adjustable Shelf.